Article by Steph, filed under Offices & Commercial in the Architecture category. 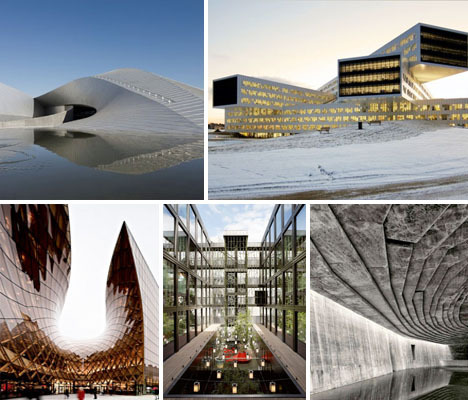 Dynamic, surprising and visually stunning, the winners of the 2013 World Architecture Festival awards represent the very best in recent architecture across a range of categories, from hotels and transit terminals to mosques and private homes. Here are 12 of those standout buildings, including the winner of the coveted World Building of the Year title. 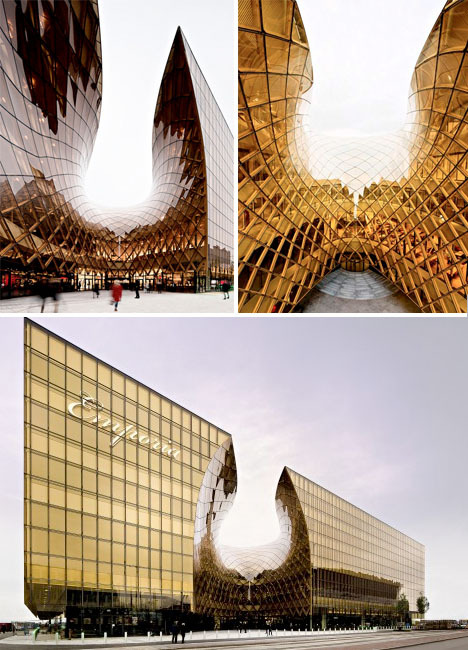 This striking golden glass structure is about as far from a typical suburban mall as a shopping center can ever get. The sprawling Emporia shopping center in Sweden features a cut-out amber glass entrance, color-coded atriums throughout the building that help with navigation, and a rooftop park with outdoor dining and a spa. Proving that virtually no lot is too small for a comfortable, well-designed home, Cox Rayner Architects took a narrow space just 3 meters wide and created a spacious residence. 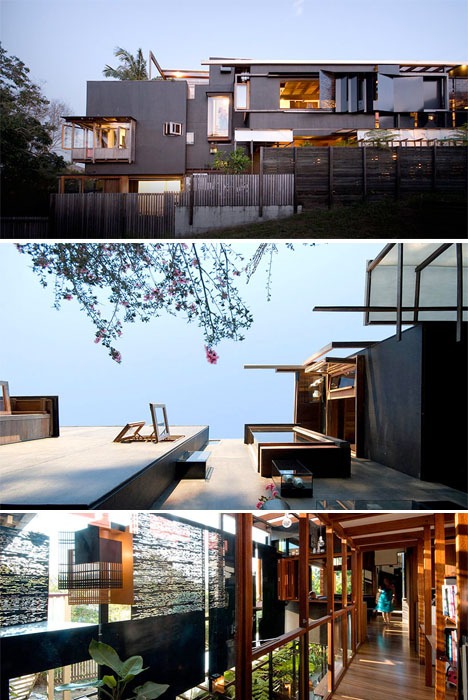 The Left-Over Space House in Brisbane consists of stacked orthogonal forms made mostly of wood. Situated between two public buildings, the house makes use of what seemed like an unusable space. Iron screens offer privacy, and narrow courtyards enable access to nature. 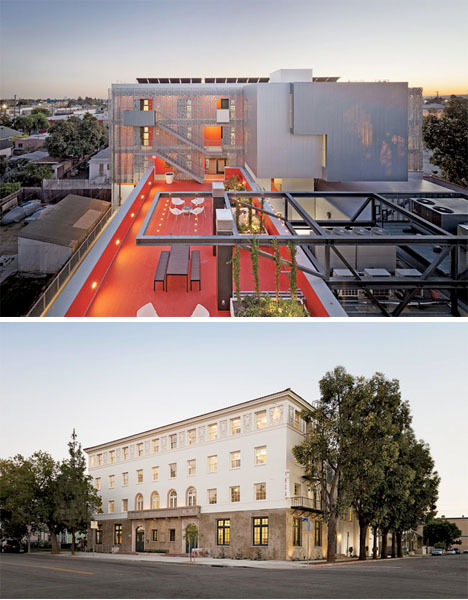 A historic four-story concrete building in Los Angeles, originally built in 1926, was temporarily abandoned and in a state of disrepair before Koning Eizenburg Architecture gave it a stunning update that restores its beauty while also playing old against new in dynamic and surprising ways. It now contains 24 studio apartments as well as common facilities, and features a modern roof deck with patterns abstracted from the '20s bas-reliefs found in the main entrance. A-Lab aimed to create a massive commercial building complex for Norwegian energy producer Statoil that would somehow also blend in with the idyllic shoreline on which it's located. The result is a series of narrow, stacked volumes, each oriented to optimize daylight conditions and views of the fjord landscape. 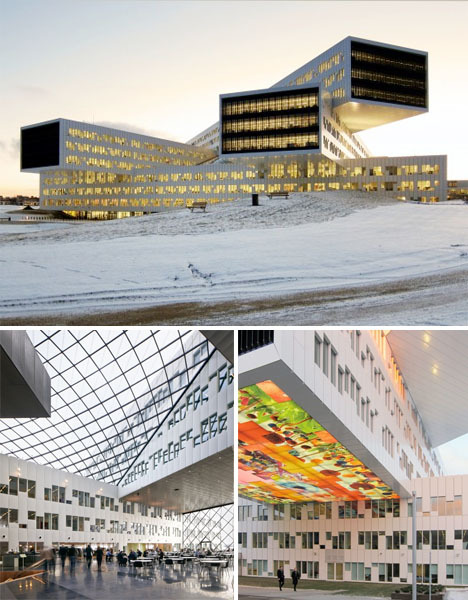 The propeller-shaped glass roofs are filled in with structures inspired by soap bubbles to stand up to loads of heavy snow. Taking inspiration from the hillside setting, Wilkinson Eyre Architects created a design that flows naturally around landscaped piazzas and a 'green corridor' that runs through the center. These green spaces meander through the university campus to provide students with a beautiful place to relax and study. 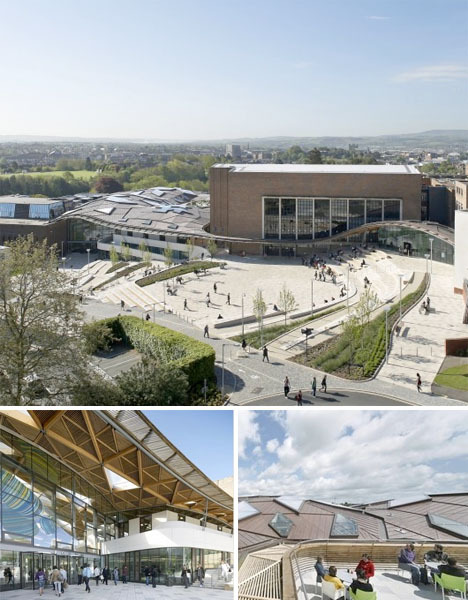 The timber gridshell roof is an unusual detail that adds a sense of movement to the complex. 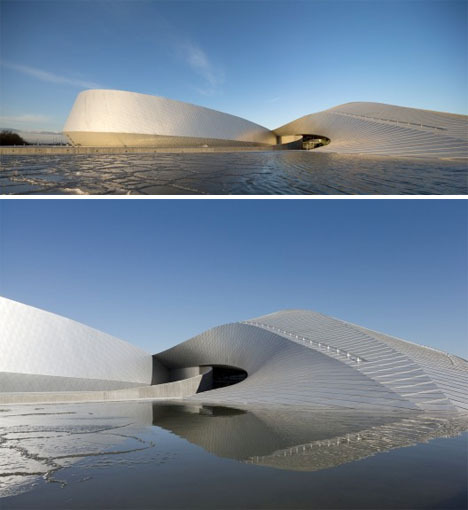 The theme of 'water' is clear from the viewer's first glimpse of The Blue Planet Aquarium in Denmark, with beautiful undulating wave-like shapes that form a whirlpool when seen from above. Pools outside reflect the sky, while the diamond-shaped aluminum shingles of the building recall the scales of fish. Avoiding all archetypal visuals, Emre Arolat creates a modern mosque that focuses on an almost otherworldly feeling of sanctity. 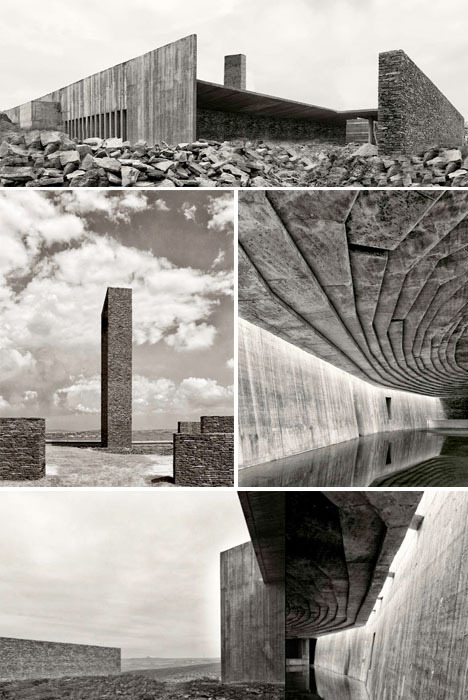 Dramatic and cave-like, the structure emulates the spare landscape with its raw stone and concrete surfaces. Most of the structure is subterranean, with daylight filtering in from voids that form abstract geometric shapes throughout the interior. 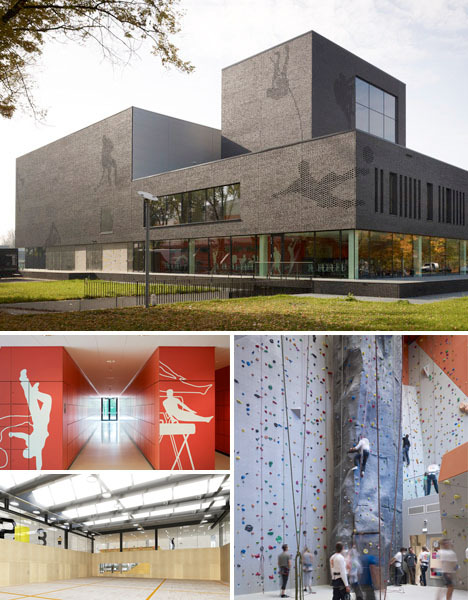 Bold and fun, the Fontys Sports College makes its purpose unmistakable with large silhouettes engaging in sports activities embedded in its brick walls. The structure houses swimming pools, indoor sports facilities, a 15-meter-high rock climbing wall and classrooms. 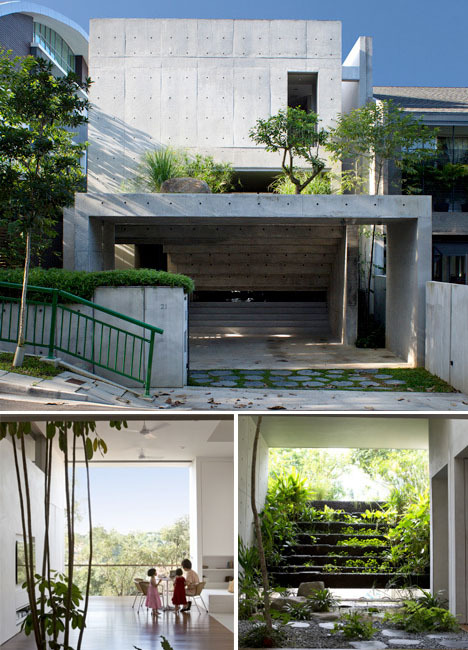 Redefining 'tropical house,' CHANG architects gave homeowners in Singapore who wanted modern concrete forms with lots of privacy a villa that still relates to and harmonizes with the environment. The minimalist house has few outer windows, so the outside world can't see in, but features light-filled inner courtyards. It avoids the typical bamboo and wood seen in most tropical houses, but it's filled with profuse greenery and offers plenty of beautiful views. 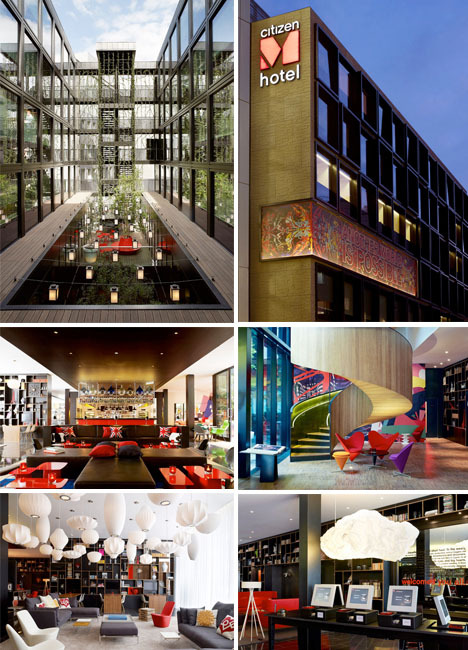 Offering luxury ambiance at a budget price, the CitizenM Bankside hotel in London cuts out unnecessary frills but still manages to feel high-end. It features a large central courtyard functioning as an 'outdoor living room' for guests, and it's packed with fun, colorful, thoroughly British visuals. 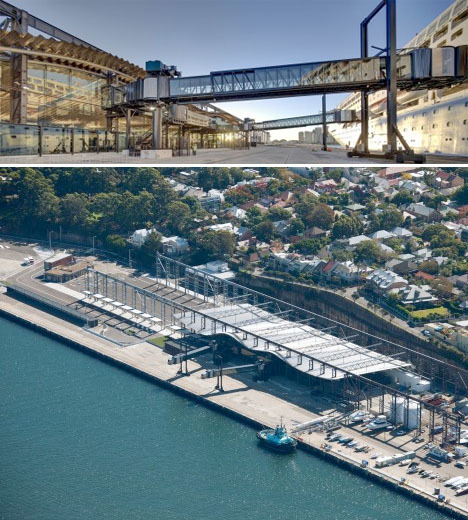 A degraded industrial site has become a central hub for the many cruise-goers who pass through the Sydney harbor in Australia. 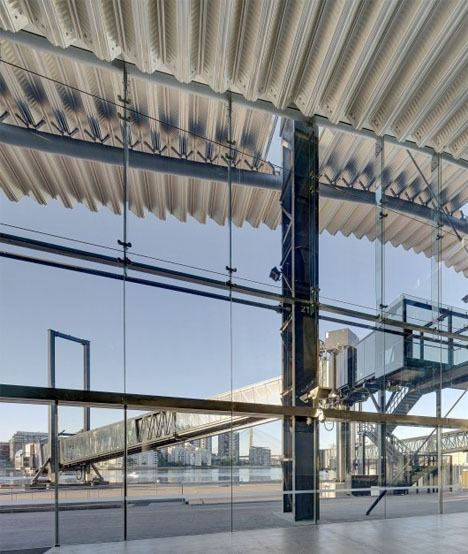 A historically significant metal crane structure was preserved, and now stands as a framework draped in a modern roof canopy shaped to emulate the waves of the adjacent water. The design opens up panoramic views of the city. 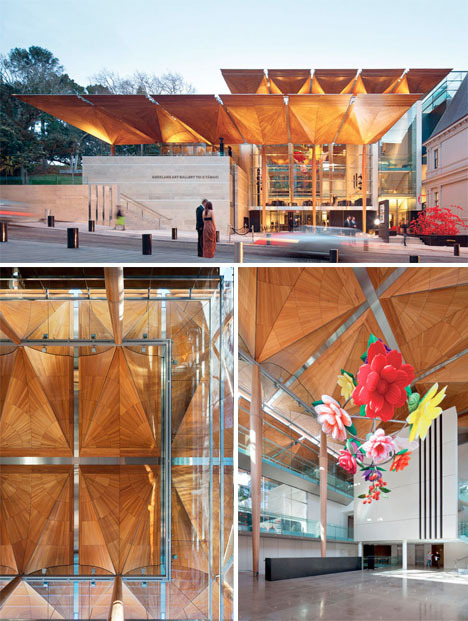 Named the World Architecture Festival's 'World Building of the Year', the Auckland Art Gallery is warm and welcoming with richly patterned wood canopies designed to mirror the trees of the nearby Albert Park. The space is an extension of the existing gallery and incorporates natural local materials. The work of great Maori artists can be seen embedded throughout the walls of the building.